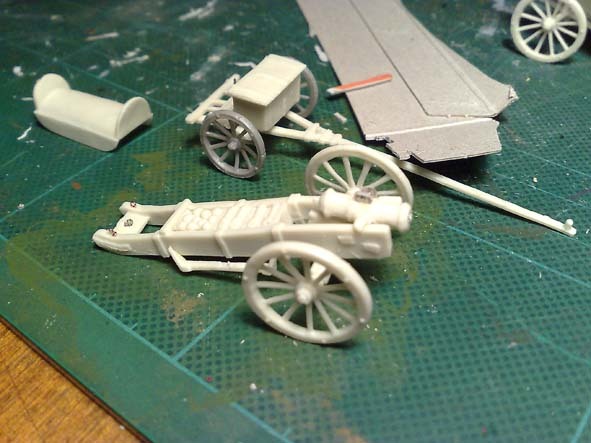 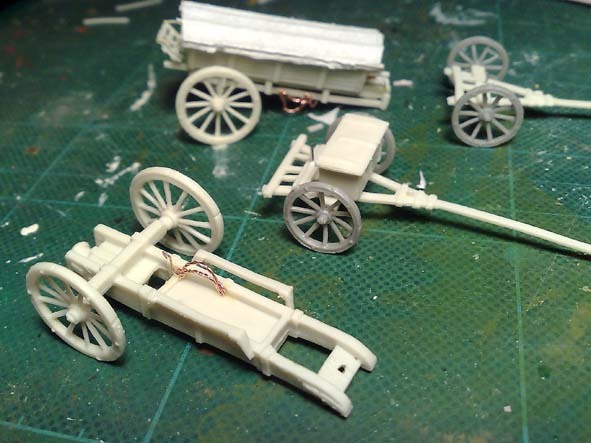 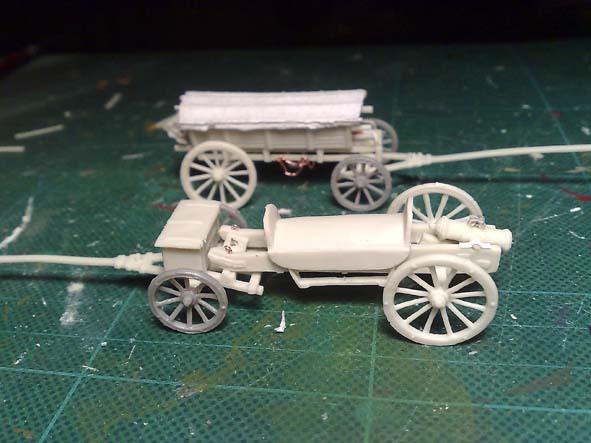 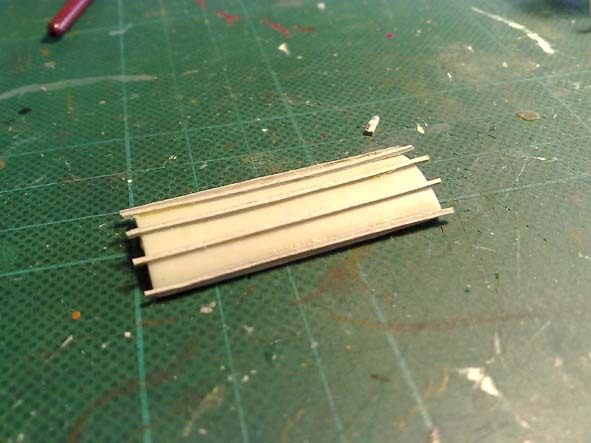 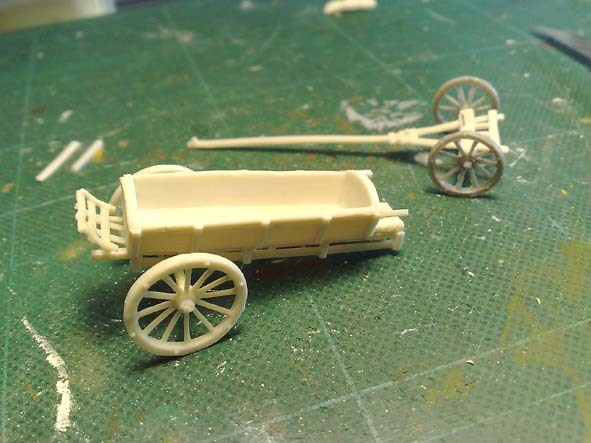 I had the mould test from the factory , the detail was not super good , but in general the pieces were fitting well together, i only had 2 horses per sprue amd all the mounted ones, so i had to scratch and reconstruct the other two. 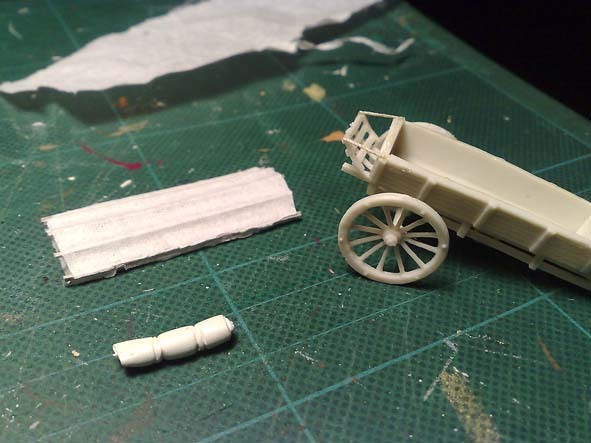 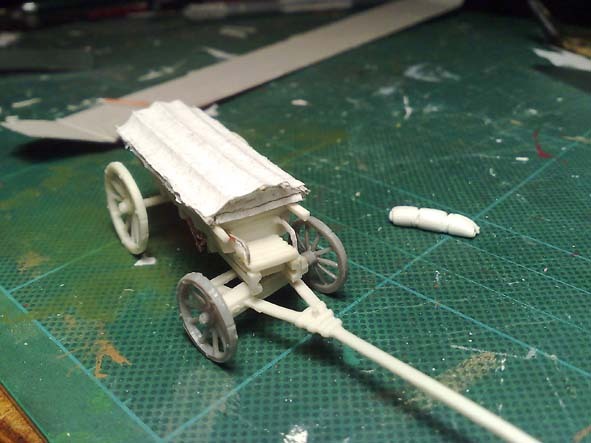 The cover of the wagon did not satisfy me enough so i covered it with paper and glue. 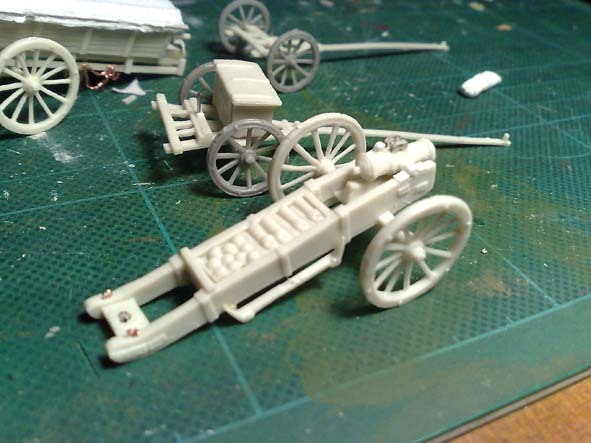 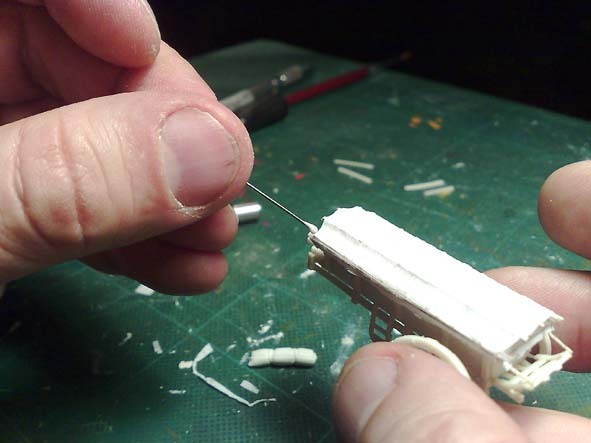 I added the connection rope to the gun which was used in case of fast retreat, and i made the bolts and the details with paper and vinyl glue which work perfectly as putty.